Review: A spirited book launch! Today, we’re delighted to have as a guest writer for us, the wonderful Jane Roberts-Morpeth, who attended our own Jennifer C. Wilson’s book launch on Saturday, and has provided the below write-up. Thanks Jane! Saturday 9th June 2018 – the Cinema Room of the Town Wall Pub. The lights are dim and there is a boar’s head stuffed on the wall above me. Comfy settees are full and the flagstones are ringing to babble and chatter as we all gather for the launch of the lovely Jennifer C. Wilson’s third volume in the bestselling series, Kindred Spirits: Westminster Abbey. Here’s a link to my latest review for North East Reviews. Thanks to Fiona Stacey for accompanying me to Dance City! “It’s HEY WARD. 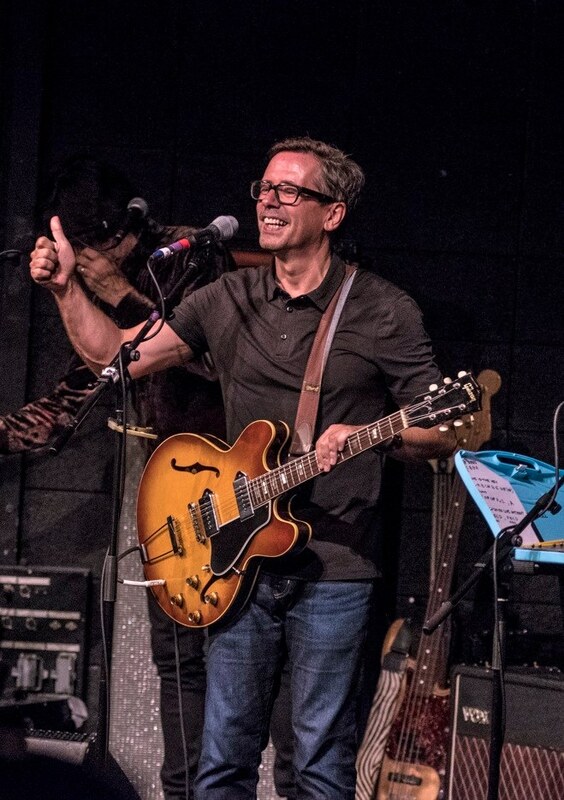 Nick Heyward! Not Nik Bluddy Kershaw!” Oh the problems of living with someone born in the 1960s rather than the 1970s. How could he POSSIBLY understand how irritating it is when folk confuse Nik with Nick. Humpf! Back in 1983 and 1984 I thought Nick Heyward was Mr Cool and Kershaw (in his snood) was a wally. I’m kinder towards Nik Kershaw now but he’s not the one I’m worried I’ve offended. It’s Nick H. Let me explain. I loved Nick Heyward’s music. Haircut 100 attracted my attention but it was his early solo career I adored. I bought his debut solo album North of a Miracle the day it was released and ran home to learn the lyrics off by heart. I joined his fanclub, bought his gatefold sleeve singles and tried to imitate his Dustin Hoffman in The Graduate look: chinos, blue shirt, corduroy jacket and leather briefcase. Then I discovered The Smiths and boy was Morrissey a demanding pop star. I realised if I chose to follow him then I’d have to ditch Nick. And I did. I sold those lovely gatefold 7 inches and picture discs in school break times. I didn’t give Nick a second thought until the mid 1990s when I was working as a music journalist in London. I got offered the chance to interview him about his latest album. I’m ashamed to say I turned it down. Fast forward to 2016 when I rediscover North of a Miracle on You Tube. I realise I know all the words to each track! I buy a copy and start exploring other work in his solo career spanning the past four decades. In August 2017 he releases album Woodland Echoes then announces a 2018 tour. I see he’s playing in Stockton on Tees about 40 miles down the road from my home in Whitley Bay. I umm and I aah but then I buy a ticket for the gig at ARC Stockton on Thursday 31st May and reserve a room in one of the town’s B&Bs. I need to go. I must make amends with Nick and apologise for behaving like a First Class Wally these past few decades. The day of the gig I’m distracted and excited at work. I look forward to my solo expedition and hope the gig lives up to my expectations. I get to the venue early and have a drink or two and a bite to eat. I’m nervous, like I’m waiting for a date but my Teesside adventure isn’t about fancying Nick. Sure I wanted to marry him in my teens but I’ve moved on since then. And so has he! In fact he’s extremely happy and you can hear it on Woodland Echoes. The last time I saw Nick in concert was about 33 years ago. Thursday night’s concert was wonderful. The set was well constructed: Haircut 100, then solo work in sort of chronological order up to Woodland Echoes and finishing with Haircut 100’s Boy Meets Girl and Fantastic Day. Nick’s band is composed of experienced, talented musicians with Nick’s son Oliver as production/tour manager. 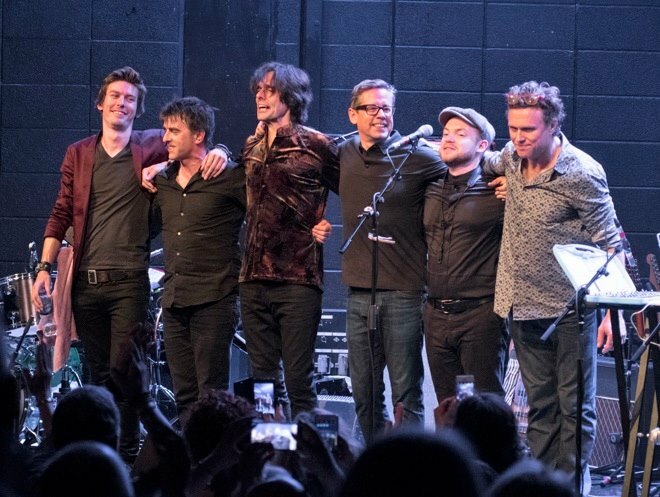 It was touching to see him him bob on and off stage sorting out guitars for his Pa. Oliver’s also credited on Woodland Echoes’ sleevenotes for producing, recording and for “being so well organised when everything was all over the place.” The finished product’s not a mess. It’s a beautiful album. I’ve been to hundreds of gigs and Thursday night’s was a blast. I sang my heart out, danced, made friends in the venue and I’m STILL SMILING 48 hours later. Thanks to Nick and co for a great night and to the lovely couple from Norton who shared a cab with me after the gig. Photo Credit: unknown. Let me know and I’ll give you a credit!